This is correspondence sent and received by Kansas Adjutant General Alexander B. Campbell. Frequent correspondents include: L.N. Woodcock, S.L. Patrick, Henry W. Howe, William A. Pease, William Larzalere, and Frank W. Finch. 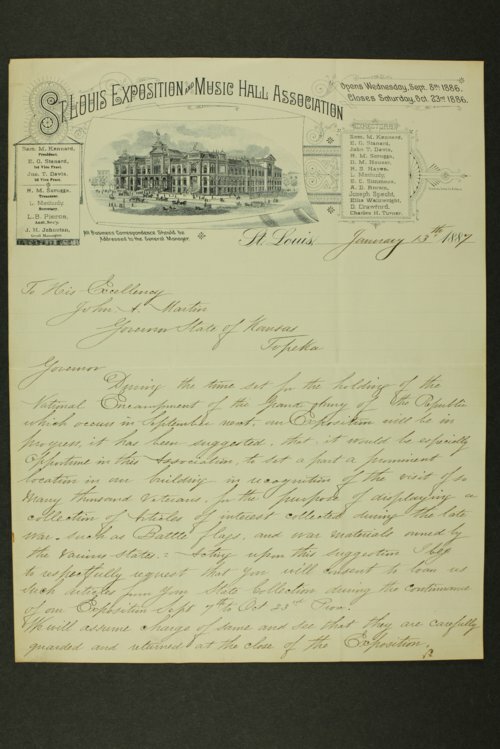 The items include a petition from the First Light Battery seeking more weaponry and a petition regarding the removal of the captain of Company B, Second Regiment.